One of the magical mysteries associated with multiples is that they share a special connection beyond that of ordinary siblings. While the twin bond is a unique relationship, sometimes it's endowed with extraordinary, seemingly telepathic, qualities. While the phenomenon is assumed to be more common in monozygotic (identical) twins because they share a closer genetic connection, dizygotic, or fraternal twins, aren't excluded. There's plenty of anecdotal data to support the idea of some sort of twin telepathy. Nearly every set of twins can relate a story. Sometimes, one twin experiences a physical sensation of something that's happening to his or her twin, such as labor pains or a heart attack. Other times they will find that they perform similar actions when they're apart, such as buying the same item, ordering the same meal in a restaurant, or picking up the phone to make a call at the exact same moment. They may appear to know the other's thoughts by speaking simultaneously or finishing each other's sentences. Commonly, twins seem to share an inherent understanding of their co-twins emotional state. Many report a sensation of "something being wrong" when their twin is in crisis. Telepathy is the process of assessing thoughts or feelings without help from sensory input like sight, sound, or touch. In the paranormal world, extrasensory perception (ESP) is an ability to acquire information without relying on physical senses or previous experience. There simply isn't any empirical proof at this point that twins have ESP or that twin telepathy exists. 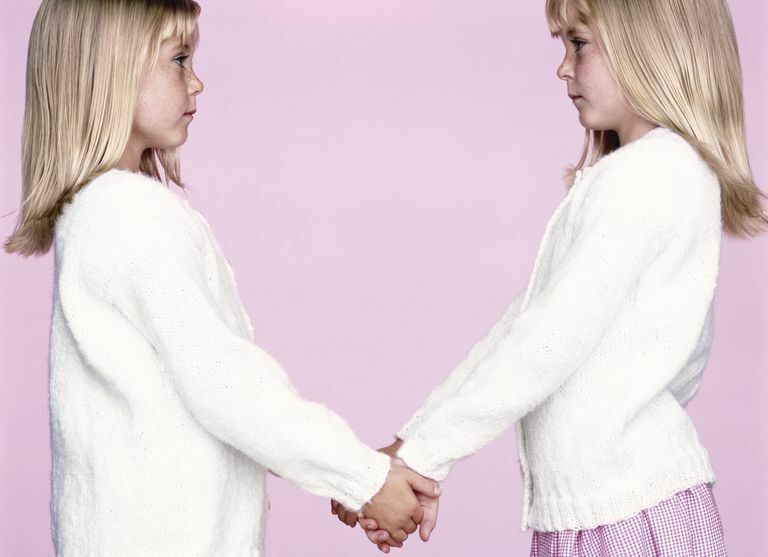 In her book, Twin Mythconceptions, Dr. Nancy L. Segal, a preeminent twin researcher, says that anecdotes about twin telepathy are simply a reflection of the loving, caring bond between the two. In cases where twins were raised separately but had similar clothes and tastes when they did meet, the similarities reflect the genetic component of personality and interests, Segal says. She does concede that if future studies ever show more concrete evidence of twin telepathy, she's willing to reexamine her conclusions. Despite the lack of scientific proof, these personal experiences can't be denied. They happen. It's generally accepted that such incidents are signs of a deep emotional connection that produces an intense sense of empathy, strong enough to generate physical sensations, such as feeling pain when a co-twin is hurting. Twins also know each other so intimately that they can often predict how their twin will speak or behave. This phenomenon can also be observed between two non-twin people in a close relationship, such as a husband and wife who have been married for many years. And many twins, whether due to nature or nurture, simply have the same instincts, tendencies, or preferences, explaining why they do eerily similar things simultaneously. Segal N. Mind Readers? Twin Telepathy, Intelligence, and Elite Performance. In: Twin Mythconceptions: False Beliefs, Fables, and Facts About Twins. Elsevier;2017:143-162.